Clear your calendar's and make room for this years Memorial Day weekend party ! ROCKLAHOMA 2012 returns for it's sixth year in all it's glory to celebrate Life, Liberty & The Pursuit Of Rock ! AEG Live, Catch the Fever, and Budweiser proudly present ROCKLAHOMA 2012. Three days of great artist, parties,and food. The festivals promoters idea of providing the best bang for your buck in ticket pricing allows fans the opportunity to enjoy rock n roll's biggest names all in one place. Rob Zombie, Chickenfoot, Creed, Megadeth, Slash, Queensrÿche, Chevelle, Jackyl, Theory of a Deadman, Hellyeah, Puddle of Mudd, P.O.D., Volbeat, The Darkness, 10 Years, Cavo, Adelitas Way, Black Stone Cherry, Pop Evil, Trivium, Red, Redlight King, Art of Dying, Aranda, Janus, New Medicine, James Durbin, Eve to Adam, Falling In Reverse, Rival Sons, Anti Mortem, Gypsy Pistoleros, Lillian Axe, Wildstreet, Firstryke, Black Tora, Sunset Riot, The Glitter Boys, Fist of Rage, Switchblade, Scarlett, S.E.X. Department, Ragdoll, Down & Dirty, Hessler, Lynam, Diemonds, Ruff Justice, Soulicit, Rocker Lips, Mine Enemies Fall, Echo Vendetta, A Good Fight, Sweatin’ Bullets, Through the Thorns, Absence of Ink, For the Broken, EchoFuzz, Shotgun Rebels, Stun, Dagger, Unwritten Rulz, Desi & Cody, David Castro Band, McCuin, We the Ghost, Tiranico, Baron Von Swagger, TwoFold, Aformatic, Delay the Day, and Jamco Industries. Debuting in 2007 as a 80's 4 day classic rock festival, ROCKLAHOMA has evolved into America's largest three day rock n roll extravaganza now covering music from the 80's through the present. Located in Pryor, Oklahoma just 45 minutes northeast of Tulsa, ROCKLAHOMA sits in a country setting and offers onsite store,camping, showers, and vendors. 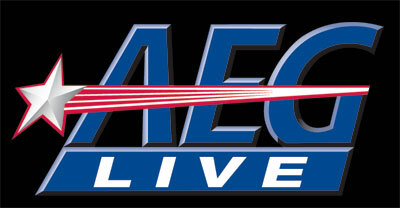 At the end of 2009, Catch the Fever announced the merger with concert promoter AEG Live to revamp the festival's format. The decision was made to move the 2010 festival to Memorial Day weekend (normally in July) and to include more current artists. This was done to keep the festival growing and current. This proved to be successful for in 2011 ROCKLAHOMA saw their biggest crowds to date. ROCKLAHOMA provides several different ticket packages and offers a great three day general admission ticket price of just $125 and $350 for VIP seating. The VIP ticket price includes upgraded parking, reserved seating up front, and access to the VIP tent that includes all you can drink Bud Light, Coca-Cola soft-drinks, coffee, iced-tea, water and an amazing assortment of food, served buffet style. There are three different Upgrades to the basic VIP ticket offering all which can be found at ROCKLAHOMA.com. In 2009 the Miss ROCKLAHOMA contest debuted. This prestigious title is given to one lucky gal that wins through the online voting process. For all the interested women out there the deadline for entries is April 18th. The top ten entries that best represent the festival and rock music will be announced April 25. After that date online voting will determine the top five. The lucky top five will be on stage May 25th for the crowning of 2012's Miss ROCKLAHOMA. More info can be found at ROCKLAHOMA.com. This years lineup is very solid. For the great price and the experience of a three day rock festival, a Memorial Day road trip to the show is definitely calling ! On a personal level I attended the 2009 show. I was taken aback at what a great concert layout they had going in Pryor. Someone took some serious time in the planning of this venue. There are vendors and food booths set up on the grounds. I had VIP tickets to the show which included all my food and drink in the VIP tent. What a great option. The VIP tent was air conditioned and the food.....I can't talk highly enough about the food. The brisket was the best I ever had ! We camped for the weekend. What a great time. Can you say "Party" There are tents set up through out the VIP camp grounds with bands playing live all day and night. For RV'ers, fresh water and septic sucking trucks were available. One thing I must address and can't stress enough. The event was staffed by volunteers from the surrounding community in conjunction with the Pryor Chamber of Commerce.The hospitality and pride shown by the citizens of Pryor Oklahoma was above what anyone could ever ask for. You just don't see this kind of pride in community everywhere. This area embraces these festivals and their fans. I very much look forward to spending my Memorial Day weekend May 25-27 2012 with these folks and hope to see you all there.